The White Company has developed a reputation and loyal customer base across the U.K. and around the world. With revenues of over 230 million pounds a year and plans to continue growing at a massive scale, The White Company’s success as a retail business is dependent on its customer service, in-store experiences, and the stability, availability, and security of its website. The company hosted an SAP Hybris system with an on-premises provider and expensive hardware. With a team of experts focused on helping retailers take advantage of SAP technology and the cloud, Piksel Retail (a division of the Piksel Group, an AWS Advanced Consulting Partner) knows how to enable companies like The White Company to transform. “Our goal is to build personal relationships with each retail company we engage through meticulous professional services, 24/7 cloud managed services, and ongoing optimization,” says Jonathan Kirby, general manager at Piksel Retail. Having engaged with The White Company for over four years, Piksel intimately understood the company’s challenges in its IT environment and developed short- and long-term strategies for helping The White Company drive new business value and success by migrating SAP Hybris to Amazon Web Services (AWS). “The White Company’s SAP Hybris environment, specifically its e-commerce platform, was struggling to scale on premises,” says Kirby. “We’ve worked with AWS since 2009 and have a lot of experience migrating SAP solutions to AWS. Given our team’s knowledge of and technical strengths working with AWS, along with the robust support AWS provides, we felt AWS would be the best fit for The White Company.” Piksel discussed migrating The White Company’s SAP Hybris digital commerce website to its Digital Commerce Channel (DC2), a stable, scalable, high-performing AWS-based solution hosted and managed by Piksel. The White Company chose to host its website on DC2 for its benefits to site performance, uptime, and resilience and to take advantage of the ongoing managed services offered by Piksel Retail. After completing a proof of concept (PoC) to prove the viability and stability of the solution, the broader migration of The White Company’s SAP Hybris system began. “The cutover to DC2 on AWS went pretty perfectly,” says Burnett. “Knowing the complexity of the SAP Hybris solution, I was incredibly surprised by the painless nature of the migration and cutover experience.” The company now uses Piksel Retail’s DC2 platform on AWS to run its SAP Hybris e-commerce solution. Piksel Retail’s DC2 platform uses Amazon Elastic Compute Cloud (Amazon EC2) for compute, Amazon Simple Storage Service (Amazon S3) for storage, the Amazon Aurora MySQL-compatible database, Amazon CloudFront for a content delivery network (CDN), and Amazon Simple Notification Service (SNS) and AWS Lambda for Amazon CloudWatch monitoring alert triggers. Piksel Retail manages The White Company’s DC2 deployment 24/7 and is actively exploring areas in which it can optimize and upgrade the company’s environment. Automation plays a crucial role in helping Piksel bring new innovation and benefits to The White Company. By migrating SAP Hybris Commerce to Piksel Retail’s DC2 platform on AWS, The White Company experienced massive improvements during the past two Cyber Weekends. Burnett attributes some of these improvements to the migration of SAP Hybris Commerce to DC2 on AWS. “This year, during Cyber Weekend, we saw a 65 percent reduction in average customer response times and a 44 percent uplift in traffic as compared to when we hosted on-premises due to improved performance and availability,” says Burnett. In addition, the company can now accept four times the volume of traffic (concurrent customers) to its site without performance degradation. Piksel Retail is now working with The White Company to help it take advantage of AWS in new ways to bring more benefits to end users. For example, the company is currently exploring how it can use a custom chatbot developed by Piksel on AWS to speed up its “Where Is My Order?” inquiry feature for customers. Learn more about running SAP Hybris Commerce on AWS. The White Company makes stylish, beautifully designed products, principally in white. The company combines high quality with affordable prices. What started as a 12-page mail-order brochure has grown into a multi-channel, international business. Today, The White Company is a leading U.K. retailer in bed linen, home accessories, furniture, fragrance, skincare, clothing, and more. The White Company faced significant challenges with their on-premises SAP Hybris system. After experiencing issues during crucial shopping periods that impacted website traffic, customer experiences, and business revenues, The White Company began to consider new solutions for hosting its business-critical SAP Hybris Commerce system. Piksel Retail migrated The White Company's SAP Hybris Commerce to Piksel Retail’s DC2 platform on AWS. The White Company saw a 65 percent reduction in average customer response times and a 44 percent uplift in traffic. In addition, the company can now accept four times the volume of traffic (concurrent customers) to its site without performance degradation. Piksel Retail is part of the Piksel Group, which has been helping some of the world’s largest brands optimize the value of technology for over 20 years. 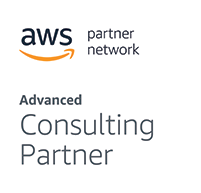 The company works with industry-leading partners including SAP Hybris and AWS to bring a wealth and breadth of experience to the table. Its clients are household names that trust the company to design, build, and manage the solutions they depend on. Piksel Retail focuses specifically on how advanced technologies can be used to solve the problems they face and help deliver their vision.